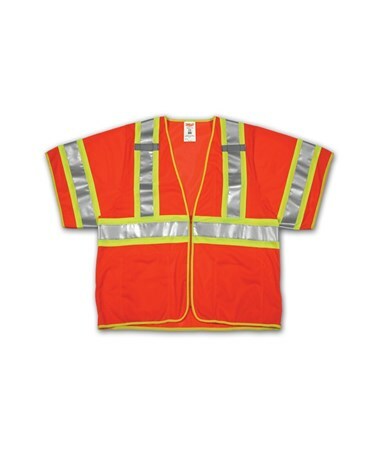 This High Visibility Two - Tone Safety Vest is an excellent vest to be worn atop clothing providing visibility for its wearer. Its synthetic mesh fabric makes for a lightweight comfortable experience that will reduce moisture and sweat during warm weather by allowing air to flow through and cool you off. Includes 4 Interior pockets (including a 4 division pen pocket), zipper closure, two-tone 2” silver reflective tape with contrasting backing plus two mic tabs. A fluorescent yellow - green outer shell with 2” two - tone silver reflective tape along with its ANSI 107 class 3 rating of high visibility provides reflective light for 360° nighttime conspicuity and will help you be distinguished in time of danger or to vehicles when working on the road during daytime and nighttime. 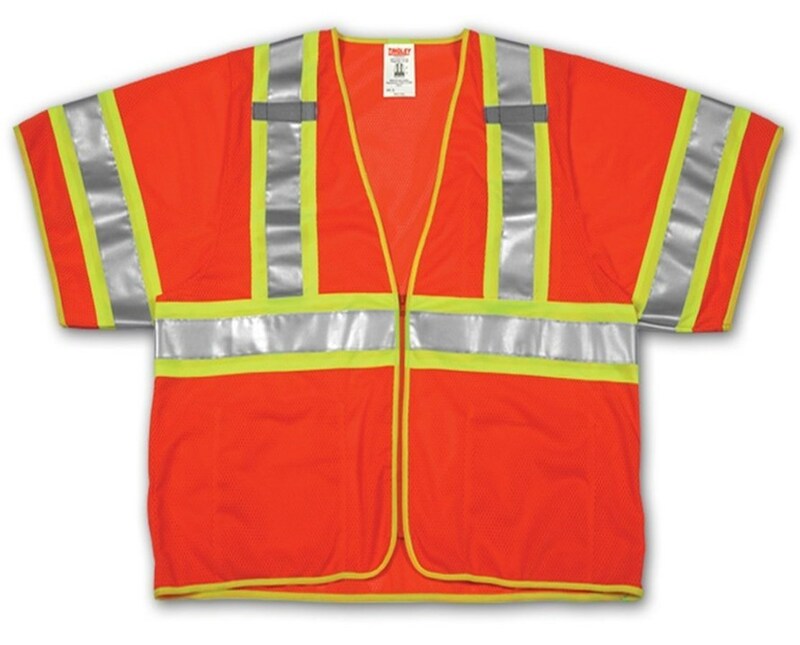 If you're looking for a high visibility lightweight non-bothersome safety vest that’s excellent for higher temperatures and provides visibility, this is an excellent option to consider. Sized to be worn atop clothing. Synthetic mesh fabric for a lightweight comfortable experience. Reduce moisture and sweat during warm weather by allowing air to flow through and cool you off. Includes 4 Interior pockets and two mic tabs. Two-tone 2” silver reflective tape with contrasting backing.